Effort, intention, attention, looking at the long game, and HUMOR are key ingredients to a successful relationship. However, this can be easier said than done. Couples that share an openness and willingness to traverse through the stages of love, despite the inherent ups and downs, will find themselves on the other side if they can weather the storms that often arise, even if it doesn’t feel that way at the moment. The honeymoon period will be here and gone before you know it and you will be left with the everyday stuff of life – that at first glance might seem boring but is actually an amazing thing. But, let’s not get ahead of ourselves. Feelings of bliss and happiness are universal and magnified with new relationships during this stage of love. People are thinking, ‘where have you been all my life!’ Your world – the world is simply wonderful. Differences are viewed as strengths. There is a great emphasis on similarities and sameness. We are fixated on this other person often to the exclusion of other things and people. We are obsessed. You forget about your limitations, fears, and inhibitions. You feel whole, connected, and loved! 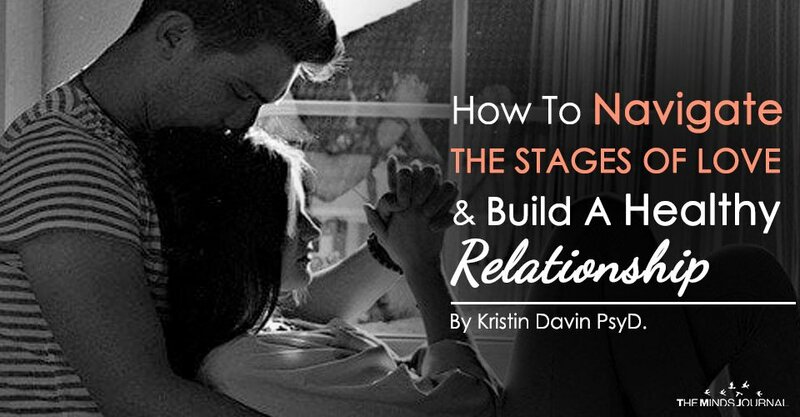 But, it’s easy to neglect other relationships and have the intense focus on your new partner. Tread carefully because an overly enmeshed relationship prevents maintenance of your own identity. For some, it can lead to codependency. As time marches on, a shift in the relationship occurs. After months of going full speed at 80 mph, there is a shift. The brakes are put on. The effect of the ‘feel good’ neurotransmitter, Dopamine, has worn off and you find yourself less high on love. Reality sets in. Hello, power struggles! 2.) The Power Struggle Stage. The rose-colored glasses have become a little less ‘rosy.’ The illusion that romantic love will last forever is often replaced with disappointment. A shift occurs from your similarities to differences. Behaviors that were once cute have become annoyances. People attempt to change their partner back to what they thought they were or what they created in their mind. It’s easy to create the person who we want this new person in our life to be rather who they actually are. It’s quite the quandary. Arguments and disagreements increase. Miscommunication occurs due to different communication styles. Many relationships cannot weather the storms. If you want to make your relationship survive, what will you do differently? Are you open to changes and learning how to communicate differently? Each clash or power struggle makes you feel a little less hopeful about your future together and affects your sense of security in the relationship. This makes you feel out of balance, out of sync. Whereas once it felt good to be together, there is no uncertainty about what to expect from your partner. You are thinking – is this relationship doomed? Have I made a mistake? If couples are not careful, they can resort to punitive tactics such as guilt, shame, and fear – in their attempt to get their attention. Couples also blame the other for the relationship demise and want them to change.